What is Motion Detection Reminder? 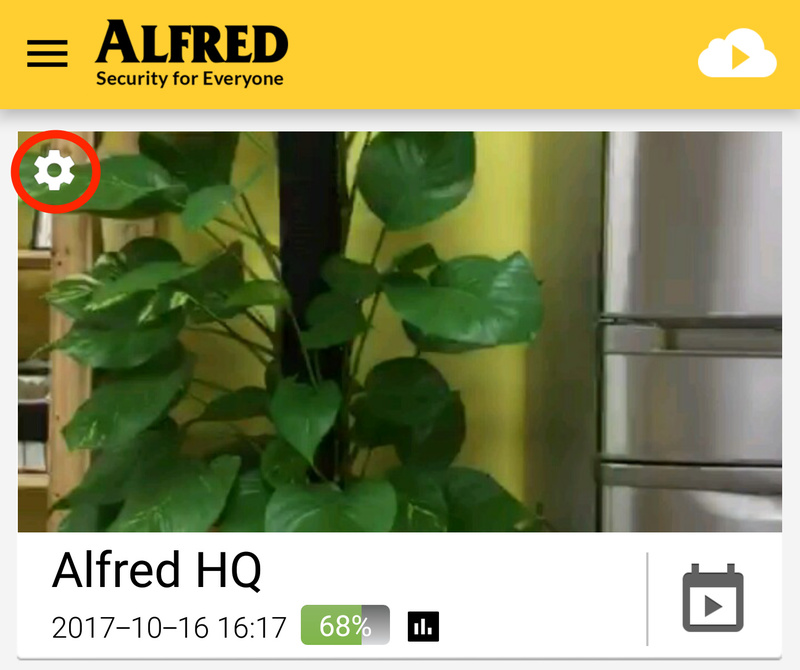 - Frequently Asked - Alfred Center | get the most out of the best home security app! What is Motion Detection Reminder? We want Alfred to be as user-friendly as possible. That’s why we developed Motion Detection Reminder! 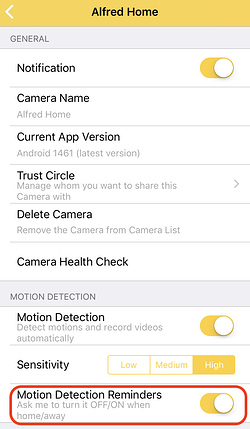 By detecting if your Viewer Phone and Camera Phone share the same network, Motion Detection Reminder will prompt you to turn Motion Detection on/off. 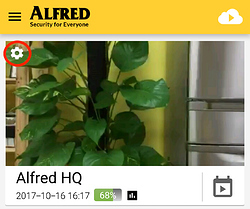 Here is an example: if Alfred guards your house while you are at work, you’d want to leave Motion Detection on. When you get home however, you might not want Alfred to send you hundreds of notifications with clips of you walking around. 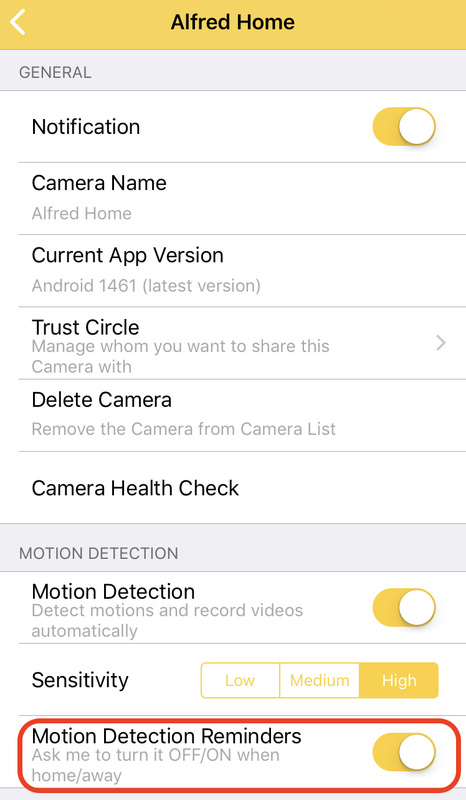 Therefore, when your Viewer Phone joins the network where your Camera(s) are installed, it sends you an option to turn OFF motion detection and vice versa. This intuitive design saves you the time for having to change the settings manually. Neat huh? 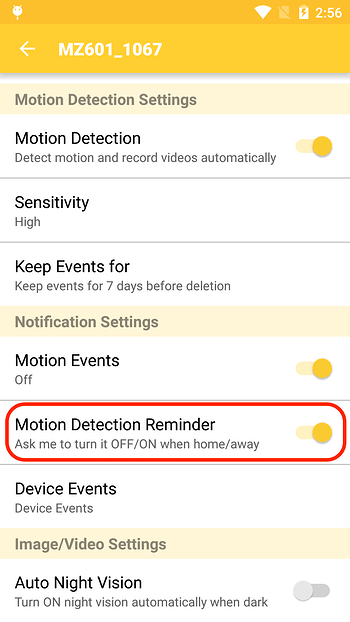 Please note that due to operating system limitations, Motion Detection Reminder is only available on Android phones for the moment. How to get motion alerts while monitoring camera? Joining <di3849> disconnect and disable Motion Controls? Is there any plan to develop auto HOME/ AWAY in the app? Is the motion detection more sensitive with Premium?